I've started reading through Life Together, so I'll try and post some ruminations and/or quotes as I meander through it. ...let him who until now has had the privilege of living in a common life with other Christians praise God's grace from the bottom of his heart. Let him thank God on his knees and declare: It is grace, nothing but grace, that we are allowed to live in community with Christian brethren. I read Life Together about a year ago with a Spiritual Formations class I took at my college. 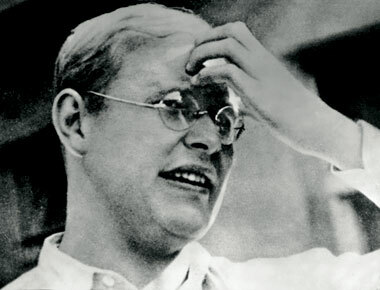 I found Bonhoeffer to be absolutely inspiring and I'm convinced that everyone should read this book. Quite literally, everyone.